It could be as little as two years in the right market conditions. After four months, a battery pilot at S&C Electric Company’s Smart Grid Solutions Demonstration Center in Chicago has earned nearly $7,000. When extrapolated to a larger scale, that means the technology could pay for itself in as little as two to three years. A 1-megawatt storage system that costs about $1 million would pay back in just a few years by participating in PJM’s frequency regulation market, according to Troy Miller, business development and marketing manager for S&C’s power quality products division. 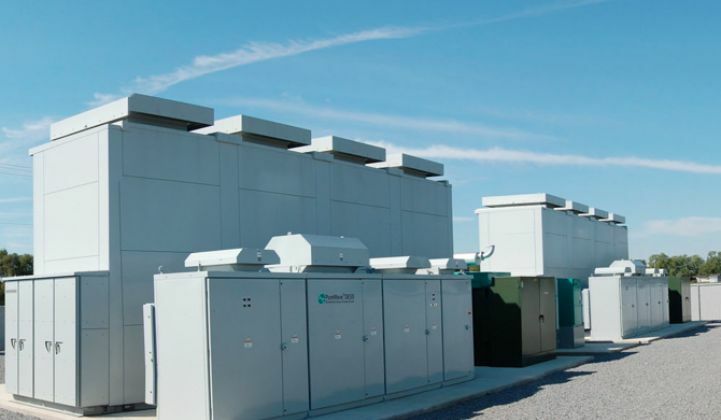 The demo unit, a 150-kilowatt system made up of six 25-kilowatt energy storage systems, was taken offline regularly over the past few months, so it was not consistently available to bid into PJM’s ancillary markets. But if it had been utilized 95 percent of the time and had a performance rating over 95 percent, the payback would take less than two years, said Miller. There are a number of significant caveats, however. 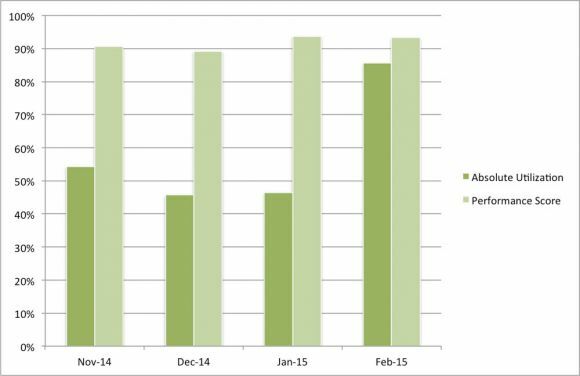 The extrapolation for the two- to three-year payback uses payments from the month of February 2015. The average total hourly credit was just over $7 per megawatt-hour, more than double the average of November through January. The regulation clearing price in PJM is typically highest in the coldest months, noted Ravi Manghani, senior energy storage analyst with GTM Research. Even if February was cherry-picked for its high payments, fast-responding resources are paid a premium year-round, as mandated by FERC Order 755, which was enacted in 2011. The more responsive grid resources, such as batteries and flywheels, can respond faster to grid operator signals than can traditional centralized generators, but cannot last as long. They have to have a performance score above 75 percent to be paid as a fast-responding resource. As the algorithm was tweaked, S&C was able to bring the performance score to about 93 percent, and Miller felt that 95 percent was very achievable. 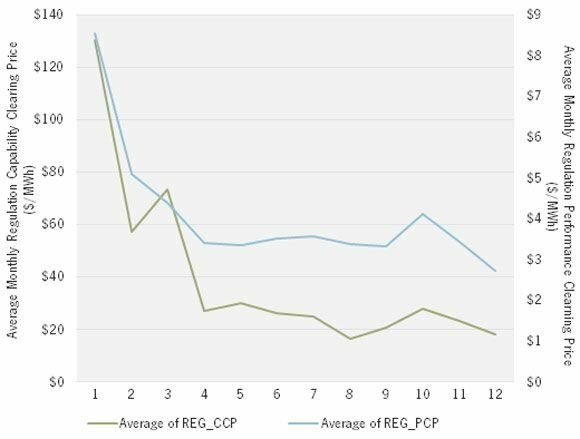 With a high performance score and high utilization, however, the payback for a 1-megawatt system would likely take about five years when looking at the average price for current fast frequency regulation payments in PJM. S&C sees increasing competition from storage startups, including Stem and Greensmith, as weell as other legacy power electronics firms, such as ABB and Eaton. To keep pace in the growing storage market, it has solutions ranging in size from 25 kilowatts to multi-megawatt systems. Somewhere in between is S&C’s 250-kilowatt storage management solution, which S&C expects to be more attractive to utilities than smaller, community storage systems, yet still small enough for voltage-smoothing and frequency regulation. Miller added that S&C’s 250 kW units could be used to bid into demand response capacity markets as well as ancillary services, a balance that its partner Intelligent Generation is providing with storage at the grid edge. If the assets are used to bid into various services, the payback could potentially be closer to two years instead of five. More than a dozen potential customers have come through S&C’s demonstration center, said Miller, including utilities, independent power producers and renewable developers. “More and more customers are understanding the PJM marketplace,” he said. Whether it’s capacity relief, transmission and distribution deferral, or just stiffening the distribution network, it’s not just the leading utilities that are having conversations about storage and the layers of value it could offer. “They’re waking up to the fact that storage isn’t just part of the system," said Miller. "It’s going to be game-changing."